Welcome to the Thompson Snow Village. 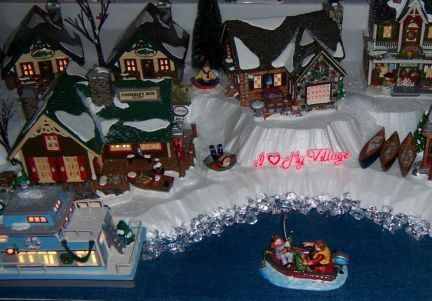 We hope you take some time to look around and wander through this site dedicated to our Department 56 "Original Snow Village" Collection. We started our collection in 1995 with two pieces. It has now grown to over 200 buildings and numerous accessories. We typically have between 150 and 170 buildings on display during the Christmas Season. Check out the Display pages and see how the Village has grown over the years. Stop by the Trading Post page to see out what we would like to find or the things we no longer need. Thank you for dropping by. We hope you enjoy your visit to the Thompson Snow Village.